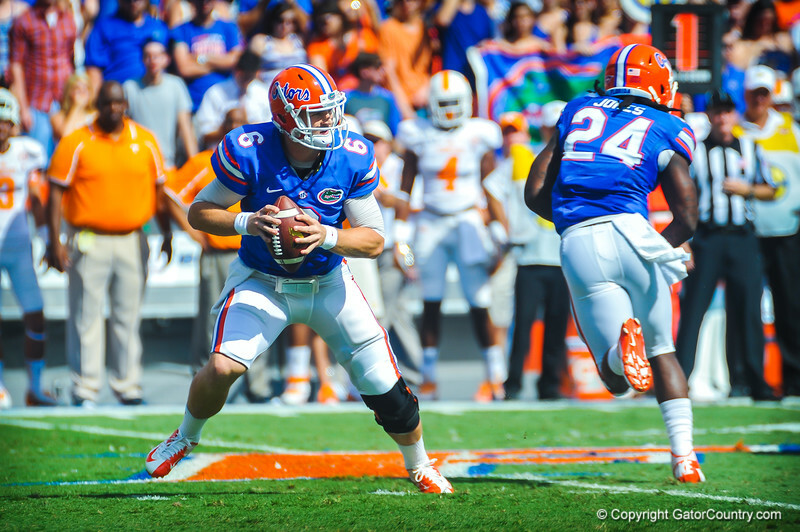 Gator QB Jeff Driskel scrambles in the backfield looking for an open receiver downfield. Gators vs Tennessee Volunteers. September 21, 2013.